Here you can explore tools, papers, publications, and much more centered around our work. Use the filters to the right to explore different categories. Rogue Climate Blog: The State Of Oregon Can Stop Jordan Cove. Here’s How. Rainforest Action Network: Jordan Cove: Bad Idea, Bad Investment. A Banking On Climate Change Case Study. By any measure, the petrochemical refinery slated for construction on the banks of the Columbia River in southwest Washington is a giant. Designed to convert large quantities of natural gas into methanol, the facility would ship tankers full of the product to China to be used for making plastics. What Consumes More Gas Than Many Of Cascadia's Cities Combined? The methanol refinery proposed for Kalama, Washington, is, by any measure, a goliath. On the banks of the Columbia River in southwest Washington, the project’s backers aim to build a petrochemical plant to convert natural gas, much of it fracked, into liquid methanol for export to China’s plastics industry and vehicle fleet. Is Your "Natural" Gas Actually Fracked? 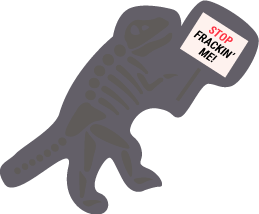 “How much of my gas is fracked?” That’s a question we get a lot at Sightline. The answer is complicated: both fracked and unfracked gases are injected into the same pipelines, where it comingles. There is no pipeline that delivers only conventional gas, and no pipeline that delivers only fracked gas, so for any particular consumer or region it can be difficult to track down which wells provided the gas that arrives at your home or business. Call 'Natural Gas' What It Is; Fracked. If you live in Cascadia—Washington State, Oregon, or British Columbia—you might think fracking is not really your problem. You might also be under the impression natural gas isn’t all that bad compared to oil and coal.